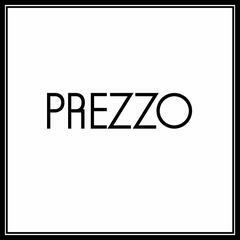 Prezzo are a leading branded restaurant company with a notably sized portfolio of quality restaurants within the UK and now Ireland. At Prezzo we believe that the most important asset to any successful business is great people. We work hard to attract staff that are friendly, positive, energetic team players.<br><br>We are looking for Kitchen Support, someone who delivers day in and day out and is prepared to get stuck in and work within the team. <br><br>We offer: <br>•	50% staff discount in all sites, across the 5 brands, from day 1<br>•	Free meals on shift from generous staff food menu<br>•	Childcare vouchers<br>•	Discounts at local retailers and leisure activities with ‘Salary Extras’<br>•	Prezzo Chef whites provided and laundered<br>•	A professional environment with great opportunities for career development at all levels<br>•	Both internal and external training courses and qualifications through our Training Academy<br><br>As a Kitchen Porter you will:<br>•	Comply with food hygiene and health and safety rules<br>•	Support the Chefs with a number of duties<br>•	Work well under pressure as a part of the team<br>•	Keep the kitchen clean and tidy at all times<br>•	Fully eligible to work in the UK<br><br>Come and experience Italian casual dining with a touch of class and enjoy a rich and rewarding career with Prezzo Restaurants. Prezzo Edinburgh 2 is posting their hospitality jobs on Harri.